The best if the egg whites are in room temperature but it is not necessary. Place egg whites in a bowl and start whisking. After short time (whites only slightly whisked) add pinch of salt and start whisking the whites on the highest speed of your mixer till you obtain dense, stiff foam (foam will stay put if you turn the bowl upside down). Be careful to not over-whisk the whites. If that is the case, they will start producing liquid, lose the density. Sadly if you see that, you have to start from the beginning. To the already whisked egg whites, gradually add caster sugar, spoon by spoon, still whisking (do not add all the sugar at once, meringue will not come out properly). Sugar should dissolve in the egg whites completely. Whisked egg whites with sugar should be dense, stiff and shiny. Line the baking tray with baking paper. Place the egg whites mass in the piping bag and make small meringues. Make sure to leave some space in between. Bake around 45-60 minutes at 140ºC with ventilation. 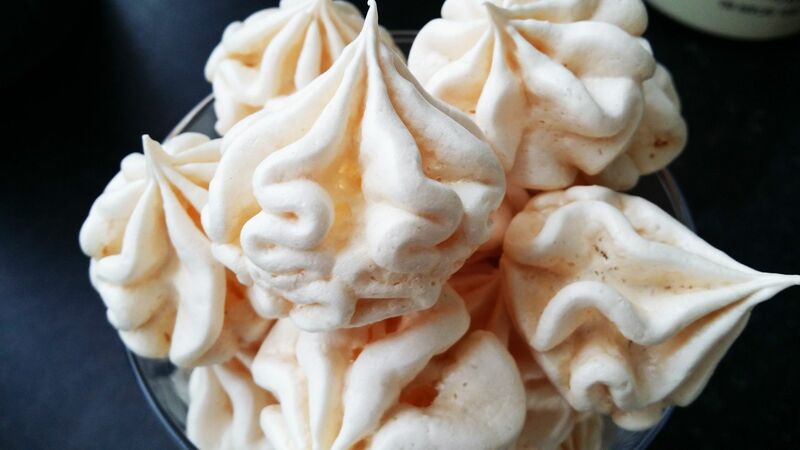 Meringues should be crunchy outside and foamy, slightly chewy inside. 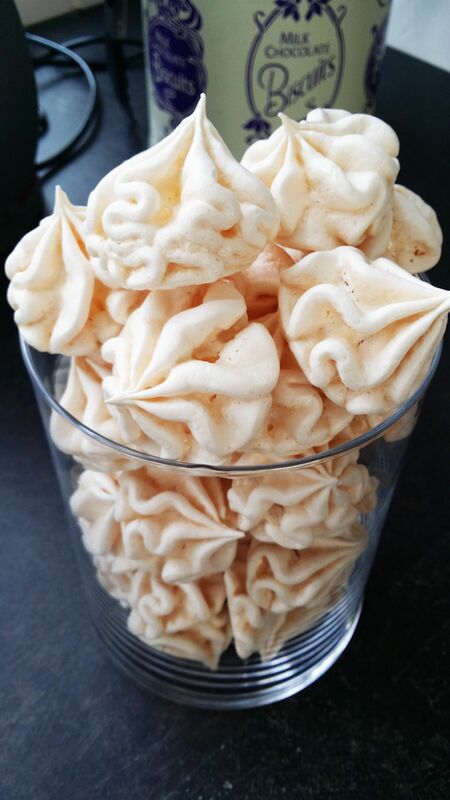 If meringues are beige instead of white, lower the temperature and add some minutes to the baking time.